With the growing use of smartphone, tablets, and Internet, people now prefer learning things online by watching video tutorials or reading e-books. There are many websites where you can learn online by joining free or paid courses. If you want to join a course, you need to visit these websites and then see if there is any course on the topic you are searching. Sometimes, you have to go to more than 3-4 websites to find a relevant course. For making your search easy, there are few search engines where you can search for available online courses. In this post, we are listing 3 search engines where you can search for online courses. These are 3 websites that allow you to search for online courses. Redhoop is a popular educational search engine where you can search for online video courses offered by various online schools academies. You can either search by keyword or browse categories. On the search results page, there are various filters to narrow your search based on pricing, course duration, course provider and other factors. SkilledUp is another nice search engine where you can find online courses by more than 300 providers. It also has filters for price and course type. You can also browse the courses by categories by clicking on “Online Courses” link. It does not host a single course but allows you to search courses available on different online places. Coursera is also a nice search engine for searching online coursers. If has listed around 650 courses from more than 100 partners. You can search by name, category, instructor or university. You can use the search box to search for courses. You can also filter courses by language and topic. You can also select multiple languages and topics to make search broader. On Coursera, you need to sign up for each course. Each course has a date limit and assignment that you need to complete. You can also use YouTube or Khan Academy like websites for similar kind of educational content. There also several websites where you can search for online courses and learn something new. 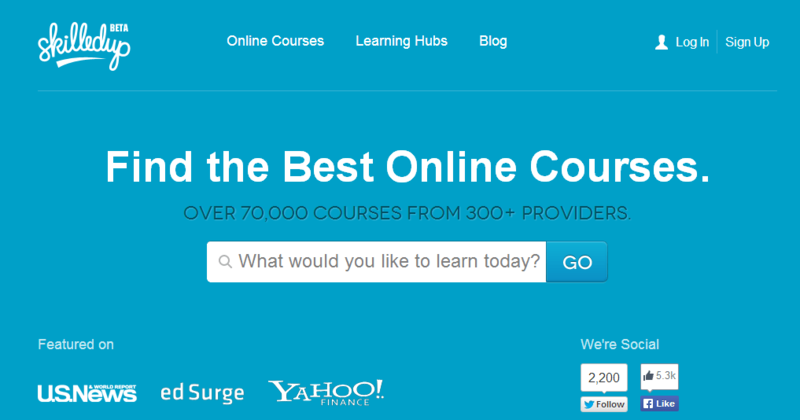 So, start searching online courses with these search engines. If you have anything to say, comment below.